Lost socks, missing bags and shoes going AWOL are the bane of our lives on school mornings, making the simple act of getting small people out of the door on time feel virtually impossible. 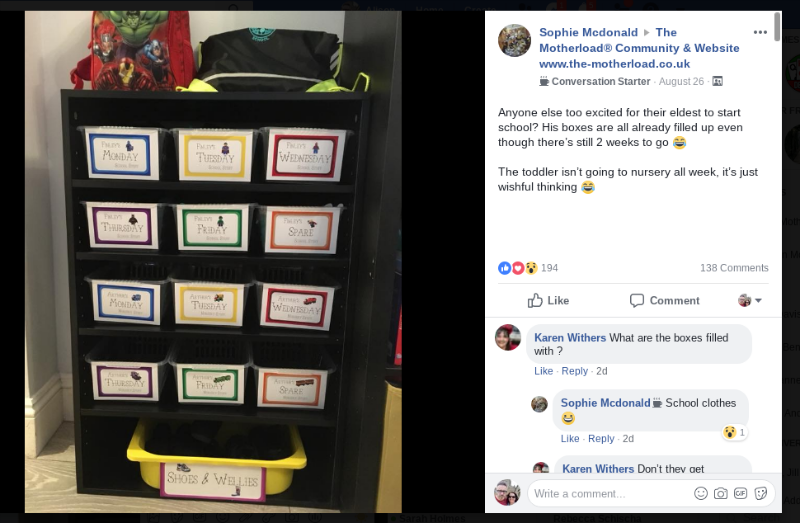 But then, Sophie McDonald posted THIS ingenious idea in The Motherload® Facebook community and I glimpsed a world where we too could be highly organised, perhaps even calm as the kids get ready for school and nursery. But our members were too busy being gobsmacked by her brilliant organisation skills, with many hailing Sophie a genius. What a bloody AMAZING idea. 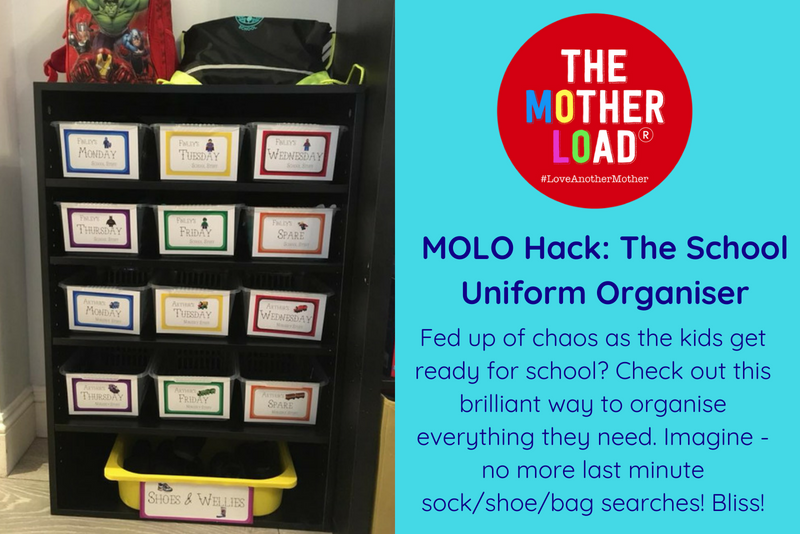 It’s just a little shelving unit with some slide out trays to pop their underwear and uniform in, then school bags on top, and shoes underneath – job done! You could fill it up once a week if you have lots of sets of uniform, or a couple of days in advance if you have a two or three sets. Thanks Sophie – you might just save our sanity with this one!